OnePlus 5 and 5T are one of the first few devices to receive the official Android 8.1 Oreo. The latest Oreo upgrade comes with the previous Open Beta 6 for the OnePlus 5 and Beta 4 for the OnePlus 5T. Now, the two devices are receiving a new OTA update with Open Beta 7 and Beta 5 for OnePlus 5 and 5T respectively. The firmware is being updated with some under the hood bug fixes and improvements to the system. It features the new February 2018 Android Security Patch. The OTA is currently rolling out across the globe. So download and install the latest Android 8.1 Oreo based Oxygen OS Open Beta 7 and Beta 5. What’s new with the OnePlus 5/5T Open Beta 7/5? The update brings the recent search tags to OnPlus Launcher search option in the app drawer. The weather app now accurately gets your current location. It also afeatures a new icon and user interface. One of the most important feature is the Network boost in Gaming mode. Now your online games have better connectivity. 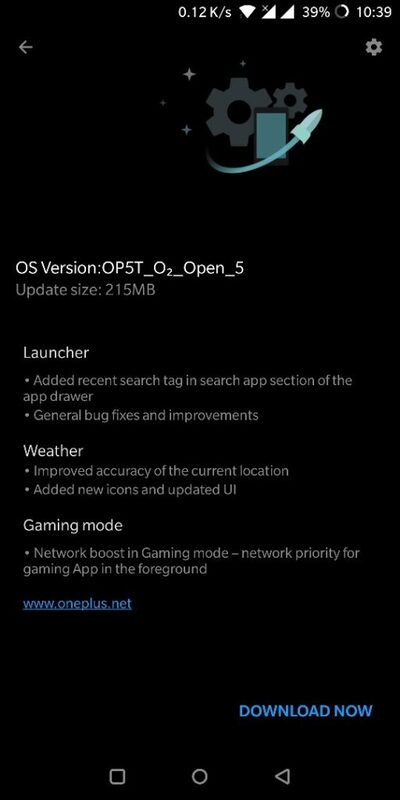 If you are already on the previous Open Beta update, then you can got to Settings > System updates > and check for OTA updates. Similarly, if you are rooted and don’t want to lose root access, then you can install it using ADB sideload method or stock recovery. 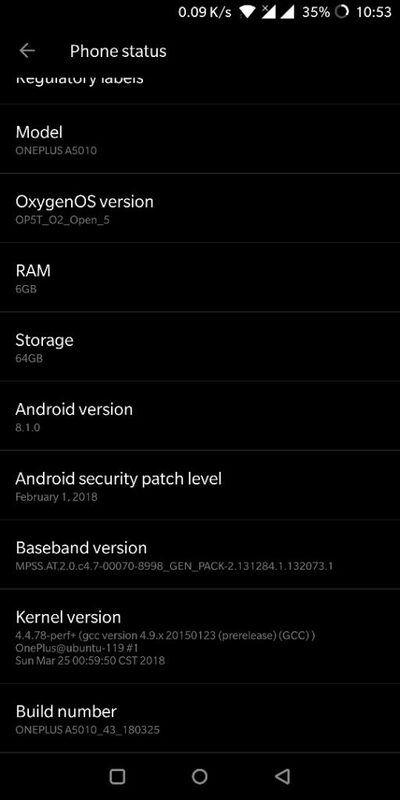 Alternatively, if your device is on the official stable OxygenOS ROM, then download the full firmware file from above and do a local upgrade. See how to perform a local upgrade from here.